Chemical products are now required to carry six key identification elements under the June 1 phase in date for OSHA’s revised Hazard Communication Standard (HCS). The deadline applies to manufacturer labels and safety data sheets (SDS.) Distributors have another six months, until Dec. 1, to comply with the regulation. 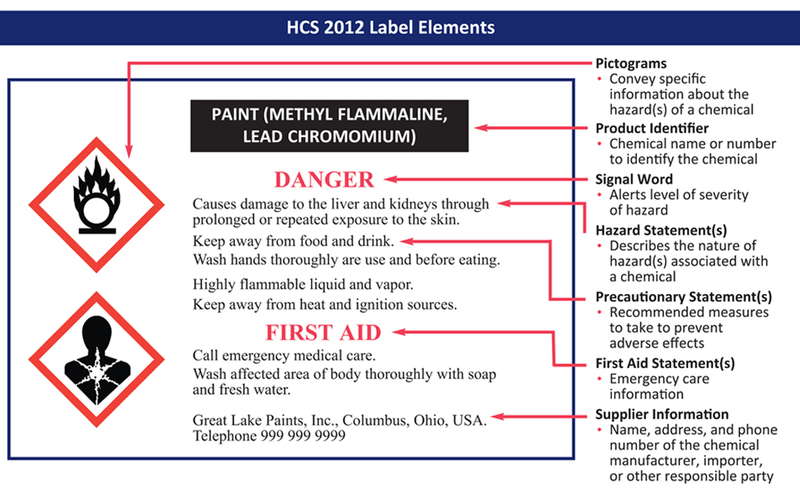 In 2012, OSHA aligned its HCS with a globally harmonized system of classifying and labeling chemicals. Chemical manufacturers, importers, distributors and employers are now required to provide a common approach to classifying chemicals and communicating hazard information on labels and SDS. Chemical manufacturers and importers must provide a label that includes a signal word, pictogram, hazard statement, and precautionary statement for each hazard class and category. ARTBA’s work zone safety consortium has developed a free guidance document to assist contractors and other in complying with the updated standard. Employers must implement HCS2012 programs and complete training by June 1, 2016.